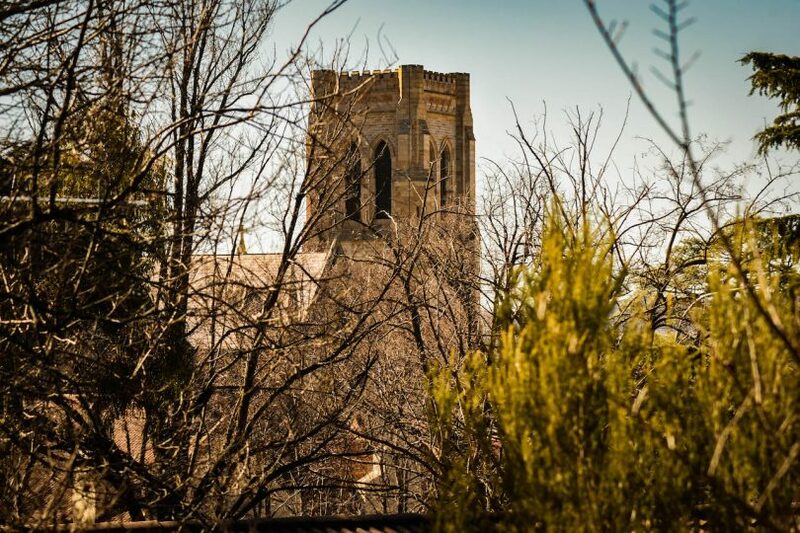 A view from Shepherds Court, Goulburn, showing St Saviour’s Cathedral tower. Photo: Tronn Alstergren Real Estate. NSW Government stamp duty exemption and a grant may not be enough to help first-home buyers compete with property investors in the strong Goulburn market. The new budget initiatives exempt first home buyers from stamp duty. As well buyers may qualify for $10,000 for a new home. While Goulburn offers first home buyers a good shot at getting into the market, they are competing with Sydneysiders looking for easier entry to the investment market. Goulburn real estate principal Angella Storrier says the difficulty lately is the lack of stock needed to generate the inquiry. Elders Real Estate principal Ray Croker found an exception when auctioning a new three-bedroom, two-bathroom duplex home with a northerly aspect off Cowper Street and close to Goulburn’s central business district. Mr Croker says the successful bidder and first home buyer had to beat competition from retirees and investors. Semi-retired builder Kieran Marmont, his wife Candace Marmont and their son Tristen developed the property. Mr Croker said similar ones generally had two bedrooms and one bathroom. This one having three bedrooms, two bathrooms and a double garage, and being well away from traffic were strong selling points. “Investors are pushing first home buyers out of the market, so it was nice to see the government has brought in this initiative to give them (first home buyers) an edge,’’ he says. “Goulburn is still a strong market,’’ Mr Croker says. “We sold a Kinghorne Street property, a four-bedroom bungalow which had been on the market a bit longer. The average days on the market are 30, this was on for 50 days, but the asking price ($375,000) was achieved after 52 inspections. A Sydney investor bought the home,’’ he says. Mr Croker says a big factor for investors targeting Goulburn was the low prices, the median price is now a little under $400,000, after years of being about $350,000. Low interest rates are helping. Ray White Goulburn has been appointed to sell the second stage of The Tillage subdivision at Marys Mount. Principal Justin Gay says blocks selling from $220,000 to $250,000 was good buying considering blocks of land in Canberra were selling for about $1000 per square metre and Goulburn blocks were $300 per square metre. “There’s a good vibe about the place because of upgrades in the main street, the same sort of vibe you get seeing cranes in the sky in a city,” Mr Gay says. Although a new subdivision, The Tillage marketing features Goulburn’s unique heritage, an asset well used by Tronn Alstergren agent Helen Cheetham in achieving an early offer on a small parcel of land near St Saviour’s Cathedral for a townhouse site. Ms Cheetham says small blocks in a central location appeal to older people no longer interested in maintaining a garden. This corner block is listed for $185,000. Valuer Doug Walker and his wife Mary subdivided it off their historic Hillview block at Shepherds Court. The whole precinct smacks of heritage. The block comes with plans drawn up for a sympathetic two-bedroom townhouse by SC Designs principal Simon Croker.